Image Comics is pleased to reveal a special limited variant cover of LOOSE ENDS #2 by series artists Chris Brunner and Rico Renzi. 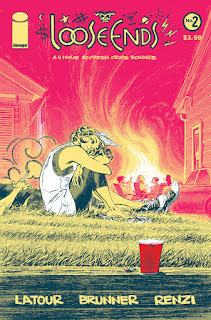 LOOSE ENDS, written by Jason Latour, is a slow-cooked Southern crime romance. 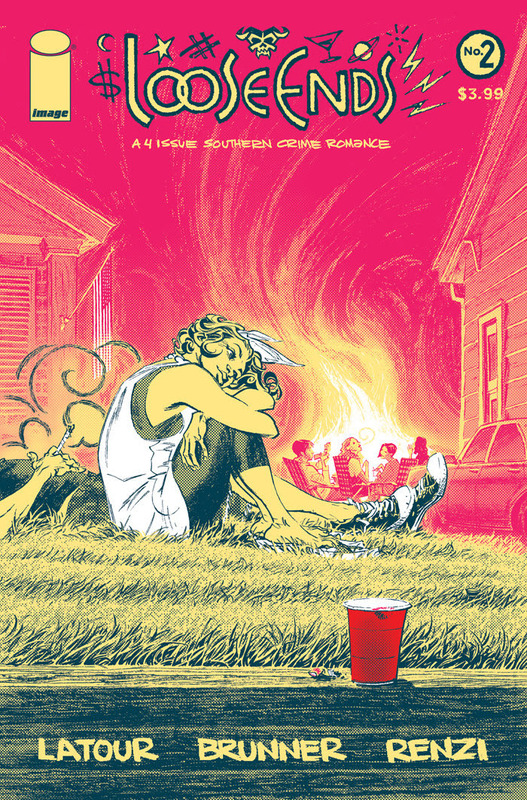 This second issue finds Sonny and Cheri on the run for their lives, though the biggest spectres lie not in front of them, but in the rearview mirror. Limited quantities of LOOSE ENDS #2 Cover B will be available on Wednesday, February 22nd.